Owner says sell! Here is your opportunity to own a fisherman's paradise, fabulous dock, beautiful home with gazebo at waterfront.This magnificent property is 1.391 acres with 115 FT of waterfront on Doctors Inlet. 300 FT lighted walkway to the boat lift, 2 electric lift spaces for jet skis, 8000 lb. boat lift and a side by slip for up to 60 FT yacht. Dock equipped with fresh water, marine grade lights and electric. All this plus a 3107 SQ FT renovated brick home offering chef kitchen with all the goodies, stainless steel, granite, gas cook top, double and convection oven, wet bar and more. Hardwood flooring through out, ceramic in wet areas. Recently a beautiful heated salt water pool and spa was installed. Come visit this beautiful property today and make it your own Walk in heated salt water pool and attached spa.Two covered porches make for a complete package. 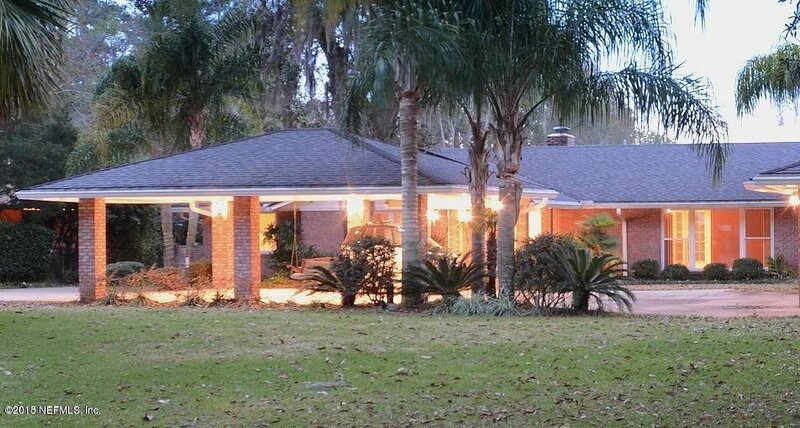 This home truly offers you the Florida lifestyle we all love. Bring your customers today, you will not be disappointment. Please give us a 2 hour courtesy notice if you want to tour the property. Listing courtesy of I ON REAL ESTATE & INVESTMENTS. Selling Office: BERKSHIRE HATHAWAY HOMESERVICES FLORIDA NETWORK REALTY.